Spring is officially here, so here are our tips for how to prepare your garden for the upcoming summer months. The clocks have finally been put forward, which can mean only one thing; spring is on its way. So with nicer weather coming up and multiple bank holidays over the next couple of months, now is the perfect time to start preparing your garden for the longer days. This includes driveways, patios, and paths around your property. 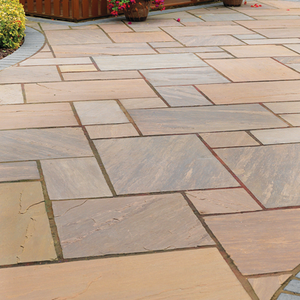 If your paving is looking dirty with mud or green with moss, you can easily bring it back to life with a good scrub. To make life easier, you might choose to use a Pressure Washer. Once the surface is completely clean, this is the best time to check for cracks or problem areas in your paving and replace any, as necessary. This is also a good time to check the joints in between the paving slabs and fix any problem area using a jointing compound such as Geo-Fix All Weather that creates a barrier that will prevent the growth of weeds. If you have drainage around your paved area, you will want to ensure that it is clear of leaves and check if any are broken. Replace any Drainage Channels as necessary. Take some time to organise your shed and clean, sharpen and/or replace any garden care tools that may no longer be up to the job they are intended for. Prune any existing shrubs to shape them before they begin to bud. This is also a good time to put preventative measures into practice for weeds. 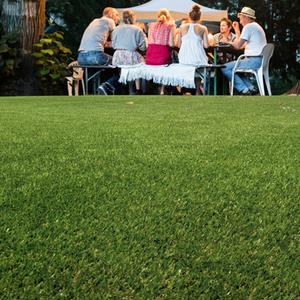 Placing Landtex Landscape Fabric on top of the soil will help to prevent weeds from thriving; holes can be cut to allow plants to grow and placing a decorative aggregate on top will add an attractive finishing touch. Slate is a great aggregate choice for fighting weeds, thanks to their low absorption of water. Spring is also a good time to think about planning landscaping projects, such as raised beds or steps, perhaps made from sleepers. The possibilities are endless. Run water through downpipes to check for any internal clogs that you might miss and clear as necessary. Replace any broken drain pipes to prevent any problems arising. Like paving, the winter can be a nightmare for build-up on your decking, so start by removing any dead leaves and foliage that may have been left behind during the Autumn. Check all structural aspects of your decking, including the boards and handrails and decide if anything needs repairing or replacing. 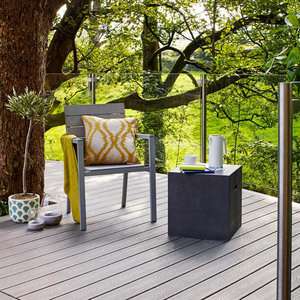 Winter can also discolour your decking with mud and moss, therefore you will want to use a Pressure Washer to give it a good clean. Now is a good time to apply any treatments to the surface of the decking boards to ensure that they remain protected from the elements. Treatments can help to enhance the colour of the boards, which is great if your decking is starting to look a little tired. For safety, check that all fixings are in place and replace any as necessary. Prune any trees or shrubbery that are encroaching on your fencing, or any that could potentially cause problems once they start growing again. Check your fence panels and/or feather edge boards to see if any are showing signs of decay, are loose or broken. This is especially important if the winter has been particularly harsh for example, you have experienced strong winds or heavy snowfall. Repair or replace any boards or panels as necessary. Concrete fence posts; look for cracks including fine hairlines. Check that all fixings are in place and are free of corrosion, then replace any as that could cause problems in the long term. If your fencing is looking grimy or discoloured, this could be caused by mud and other garden dirt, so it might be worth giving the boards a clean. Apply any treatments to each surface. This will help to protect your fencing from the weather. Adding a treatment is also a great way of reviving and enhancing discolouration that isn’t sorted by cleaning the wood. Finally, put any garden furniture and potted plants back to where they should be or add new ones if you’re looking to really refresh your outdoor space. Then sit back and enjoy the warmer months with your family and friends. Cheers! Will you be getting your garden summer-ready? All summer long as part of our Garden & Landscaping extravaganza, we’re hosting the #PictureYourProject competition, with big prizes to be won! Click here to find out more! We'd love to see your before and after photos, share them with us on Facebook or Twitter.